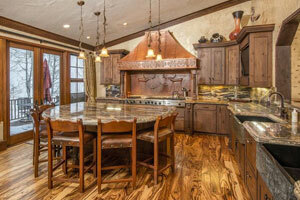 Find your own ski in and out by owner rental in Beaver Creek-click on this link! Find petfriendly restaurants, daycare, local parks, check out www.petfriendlybeavercreek.com ! 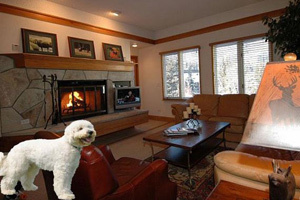 Ski in out Beaver Creek Luxe - petfriendly (but ask! ), Studio - sleeps 4, from $300/nt- Book it! Trip Advisor #FKN2386785 - The Riverfront Resort and Spa at Beaver Creek Mountain is a 4.5 star property built in 2008, remodeled in 2015, that has won awards for best ski resort in North America. My large 500 square foot studio suite is inside this resort and has a cozy fireplace, a king size bed, full size sofa sleeper, coffee maker, and kitchenette complete with pots/pans and dishes for 4. Oh, I have two robes, iron, DVD, and a hair dryer too! Go ahead and order room service, ask the concierge, or order an on demand movie on your large flat screen HD TV. NEW, Best location in BC,Walk To Ski School/Lifts/Shops,Sleeps 4-6, Ski In/out 2 bedroom, 2 bath, slps 6 from $500/nt- Book it! VRBO 901896 -LOCATION LOCATION LOCATION!!! Best location in Beaver Creek! Perfect for family with 2-4 children or two couplesWALK to SKI SCHOOL! Walk to chair lifts/gondola/restaurants/shops. Private and quiet 1 bedroom + den, 2 bath, in the HEART of Beaver Creek Village NEXT TO THE ICE RINK. Walk-out to all the shops, restaurants, ice rink, ski school, ski lifts, and Vilar Center of the Performing Arts is in the same Market Square building. A+ location and views. Perfect for 2 couples or family of 4-6, walk to ski school! Be in the center of the action. 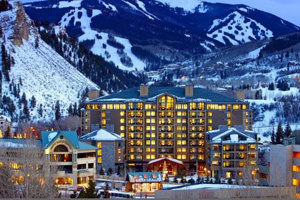 Ski in out Beaver Creek Luxe - petfriendly, 2 bed, 2 bath, slps 8, from $350/nt- Book it! Trip Advisor #FKN2382708 - To date my guest have taken the time to provide me with over (60) 5 STAR Reviews on VRBO. I think this speaks volumes about the condo and it’s value by people who have actually stayed there. Since we are brand new here on FlipKey In addition many of my guests have been back year after year. Many condos have inferior locations with no view and have never been updated so please be sure you are comparing apples to apples when looking at rates. 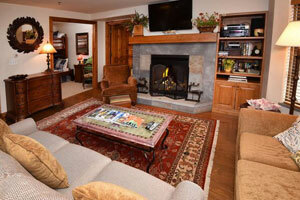 Ski-in/out Kiva at Beaver Creek, Wood Fireplace, Pool, Hot Tub, Fire Pit, 3 bath, slps 8, from $405/nt- Book it! VRBO 967145 -This gorgeous top floor residence is located in The Kiva at Beaver Creek. Situated in Upper Beaver Creek Village, guests can enjoy easy access the restaurants and shopping of Beaver Creek Village, combined with convenient ski-in/ski-out access. Our guests are treated to a tastefully decorated condo with a fully equipped kitchen complete with granite countertops and the latest appliances. In addition, the property includes a large living room and dining area, as well as large windows and laundry facilities. The condo includes a loft area featuring bunk beds, which offers extra space for the entire family. All bedrooms are fitted with large, flat screen HD televisions. 5 Star Ski In Out Condo-2 bed, 3 bath, slps 8, from $300/nt- Book it! Trip Advisor #FKN2307447 -The St James Place is a Five-Star ski-in/ski-out resort in the heart of Beaver Creek village. The location could not be more perfect! 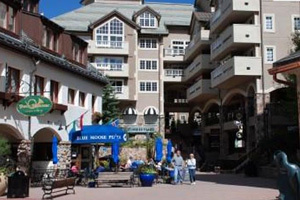 Situated right on the Plaza, you are steps away from the Centennial chairlift, the ice skating rink (open year round), fine restaurants, day spas, world-class shopping and live entertainment at the Vilar Center for the Arts. 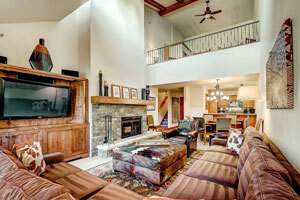 Expansive Ski-In, Ski-Out Luxury Residence in Beaver Creek-4 beds, 5 bath, slps 12, from $512/nt- Book it!